The first Boeing Business Jet BBJ MAX has left Boeing on its way to becoming a fully outfitted BBJ MAX 8. 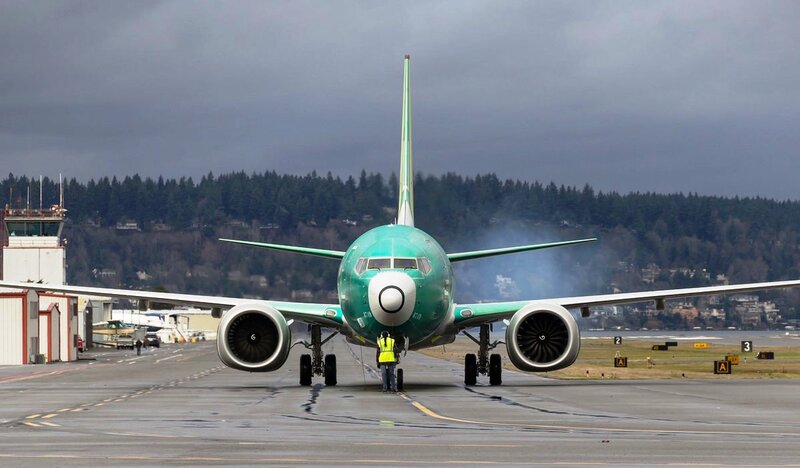 The aircraft left Boeing’s facility in Seattle on 16 April, on the first stage of its journey to completion. In its first step of its journey, the BBJ MAX 8 aircraft is to have a PATS auxiliary fuel tank fitted, extending the aircrafts range to 6,640 nautical miles (12,297km) in standard configuration prior to its finally configured completion weight. This range is 3,000nm more than the standard Max 8 that rolled off the production line and entered airline service in 2017, and 800nm more than the BBJ2 which the BBJ MAX 8 replaces. Following auxiliary fuel tank fitting the aircraft is scheduled to arrive for completion outfitting in the fourth quarter 2018 at Comlux Completions Center in Indianapolis. The finished aircraft is beleived to be scheduled to be handed over to its customer in the second half of 2019. Boeing has received orders for all three models in the family – the BBJ Max 7, BBJ Max 8, and BBJ Max 9 – with the first delivery will being made in 2018.